Dewey - an agricultural and ranching community, and Humboldt - a mining community, merged in 2004 and Dewey-Humboldt became one of Central Arizona and Yavapai County’s newest incorporated towns. Located in the Agua Fria River Valley within the Bradshaw Mountains, the land and climate of Dewey-Humboldt are beautiful. The Agua Fria River is an intermittent stream that flows through town, creating a serene setting in the middle of a desert community. Known as “Arizona’s Country Town” Dewey Humboldt offers residents a small town country feel with low crime rates and a great, affordable cost of living. For those interested in learning about the Native Americans that first lived in the area, to the European settlers and trappers that settled the community, and the railroad development that made Dewey Humboldt accessible to the mining industry, it is important to visit the Historical Museum located on Main Street. Here you will find amazing artifacts and collections that will not disappoint! Agriculture has always been an important feature of Dewey Humboldt, as well as its surrounding neighbors, and Mortimer Family Farm is a local farm in the area open to visitors wishing to enjoy delicious produce year-round in its market and cafe and partake in season festivals such as the Sweet Corn Festival, Pumpkin Festival, and Christmas Village. Dewey-Humboldt offers excellent choices in neighborhoods to meet your budget and lifestyle needs. From master-planned communities like Quailwood, to more rural areas with acreage like The Estates at Cherry Ridge. Golfing is one of the best-known pleasures of Quad City area and this Dewey-Humboldt neighborhood is a highly sought after area; the Prescott Country Club. This community is home to the top-ranked Prescott Golf and Country Club. Lots here range in size from convenience to spacious properties to accommodate the home needs of the purchaser, with magnificent views of the surrounding mountains. Homes and condominiums range in size and stature from summer get-a-ways condos to luxurious homes. The community is perfect for entertaining guests with all of the incredible amenities; Clubhouse, fitness/exercise center, outdoor pool, restaurant, and even tennis. Life here feels like living in a resort year-round. One of the best additions to Dewey/Humboldt and the Quad-City community is Quailwood. Inspired by small-town values, but offering big city amenities. 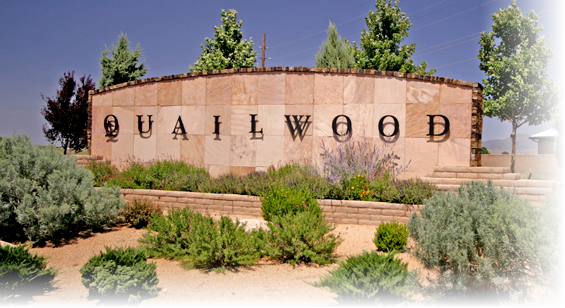 Quailwood is surrounded by grassy knolls, community parks, beautiful lakes and rolling hills and provides easy access to Prescott National Forest. Residents here are truly blessed with amazing amenities; outdoor swimming pool, spacious clubhouse, billiards parlor, game room, library, heated spa, community garden and so much more! There is also tennis and pickleball courts, state-of-the-art fitness center and playground for the kids. Don't fret just yet....you're also right next door to the 18-hole Quailwood Greens public course. Single Family homes and condominiums are offered. Humboldt Unified School District manages the education of youth in Dewey Humboldt, as well as neighboring town Prescott Valley. Within this school district are one high school, two middle schools, six elementary schools, one kindergarten, and one preschool. There are also several charter schools and private schools in the area. The area surrounding Dewey Humboldt offers several options for higher education. Yavapai Community College, and Prescott College, a private liberal arts college, and Embry-Riddle Aeronautical University, a leader in aviation and aerospace studies, all have campuses in the neighboring community of Prescott. Yavapai Regional Medical Center, located in Prescott Valley, is Dewey Humboldt’s nearest hospital and emergency care center. Also located in Prescott Valley is Mountain West Regional Rehabilitation Center, which is a nationally recognized inpatient and outpatient rehabilitation facility located in Prescott Valley. The closest airport to Dewey-Humboldt is Ernest A Love Field, Prescott’s municipal airport, which is located 18 miles north of the community. For those wishing to travel out of Phoenix Sky Harbor airport, there is a shuttle service available with pickup and drop off locations in Dewey. Learn about all the neighborhoods available in the Dewey/Humboldt area by contacting Joe Karcie.